Yes!, What? Come Again, a Coffee IPA you say? That’s right a Coffee IPA. IPA with a Coffee. Madness! Brilliance? or Both? 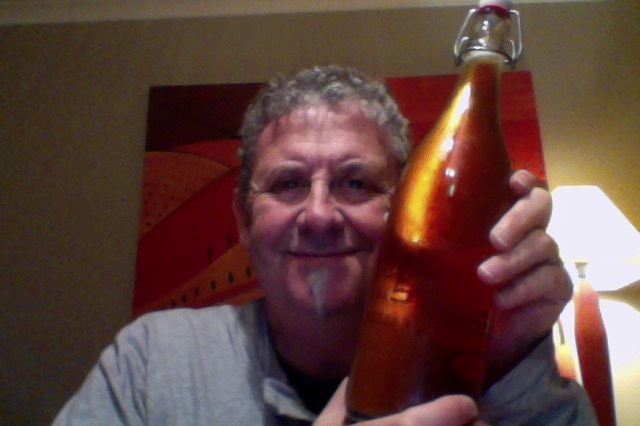 … Pine, Coffee, Lemon & Lime..
From a fill station I have the whole 1 litre of beer that is 6% ABV which would be 4.7 Standard drinks per litre and 180 calories a serve size. Also has 54 IBU things. Good George’s seasonal releases sure make the cooler months easier to bear. Last year they gave us a Salted Caramel Porter and this year they bring us a Coffee IPA, surely two of the best beverages available. Hops and Coffee, madness or brilliance? Single origin Ethiopian coffee was donated by Rocket Coffee, which was included in the mash to put a caffeine spin on NZ’s favourite beer style. This may sound bizarre, pairing a morning drink with an evening one, but it works. The toasted, bitter coffee notes are the perfect marriage to the rye malt base and bitter, zesty hops. At 54 IBUs it has impressive bitterness, a complex coffee and citrus aroma, with a resiny, zesty and spicy palate, so grab a cuppa today! Coffee aroma. Hop Aroma. Coffee aroma. MrsPdubyah says ‘beer smell’ I say it’s peculiar. Particlaly as it looks like a normal run of the mill IPA beer. In the glass it has the aroma of cold drip coffee, raw, green, intense but not bitter. No surprises that this taste like it has a lot of coffee in it, it is oddly odd. So whilst this taste is at odds with preconceptions it straggly isn’t a bad combination. There is ample bitterness from the hops and a lovely finish that is just dry enough, and over all that there is a surprisingly soft and milky coffee thing going on. Then I started to think about flavoured IPA, which is difficult because mostly it’s about hops and bitterness, and so I stopped thinking about, because I couldn’t particularly think of a flavoured IPA, Sure Oranges and Grapefruit perhaps, but other things. Perhaps there is a reason for it, said Captain Obvious. Here’s the thing. You might by this over the bar, because it is different and it is also rather nice drinking, but then problematically there is a lot of coffee in this, and if you’re a hop favouring beer drinker then this isn’t the (second) beer for you, because the coffee is quite persistent. Not so with the Porter or Stouts though, because, for me anyway, that might be why I’m drinking them, that and the difference in the base styles. Oddly compelling drinking, with some nice things, but it lacks a bit of middle, the body part that pads out a great beer, and eventually a beer that wore me out. The pdubyah-o-meter rates this as 8 of its things from the thing. It is clever, and different, I don’t think I’ve had the like, and hope that it doesn’t catch on really, because what madness would follow. I liked the coffee aroma, and the coffee bitterness, I likes the gentle dry finish, but I would have liked less coffee and more hop bitterness, but then it might have be really undrinkable. Where did I get it? the fill station at the Fine Wine Delivery Company, I can’t imagine it is in a lot of other places, it is a seasonal and probably limited. Am I enjoying it? I am and I’m not at the same time, It is really nice to have nice beer, and nice coffee beer, and then the persistent coffee and not a lot of other balance wore me down. Would I have another? ha, yes! It’s brilliant madness. Would I share with a friend on a porch and set the world to rights? In a flash, there is so much right and wrong with this that it could be along evening. 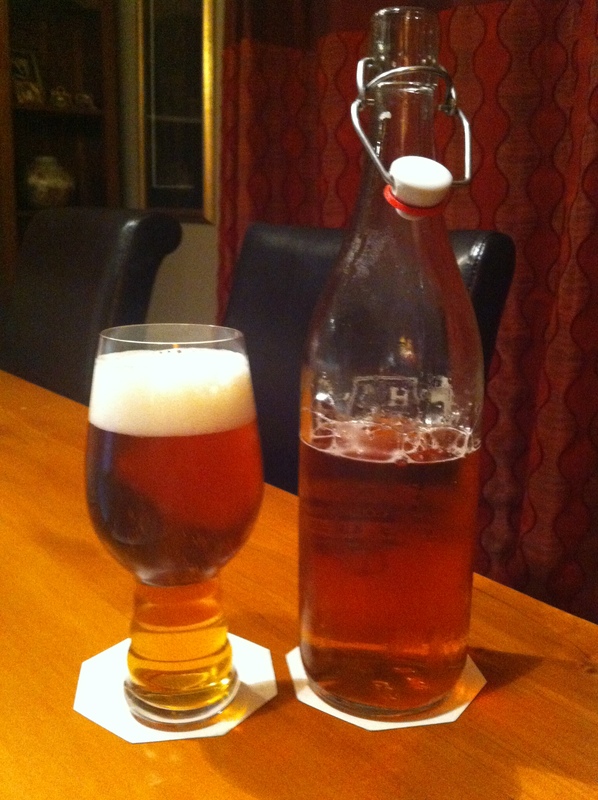 This entry was posted on May 20, 2016 by Philip Walter in Beer, Beer of New Zealand, Beer Review, Craft Beer, Critic, India Pale Ale (IPA), Justsaying and tagged Alcohol by volume, Coffee IPA, craft beer, Good George Beer, Good George Coffee IPA, Hamilton, New Zealand.